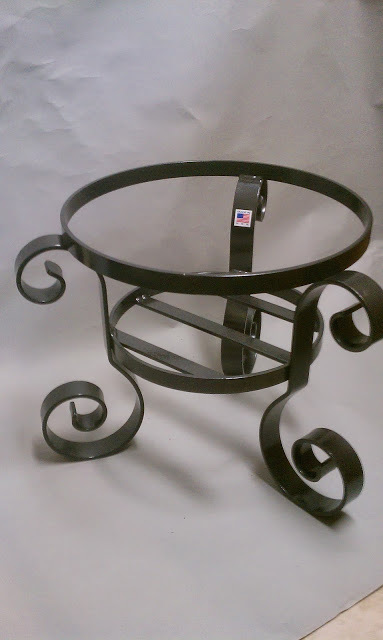 Wrought iron plant stands built to last in the U.S.A.
You'll get custom, hand-made ornamental products for your home from us. These items are not mass-produced - each one is unique and individually made just for you. All of our products are fabricated in a small welding shop in Ewing, NJ and with all-welded, steel construction that you can be proud of. 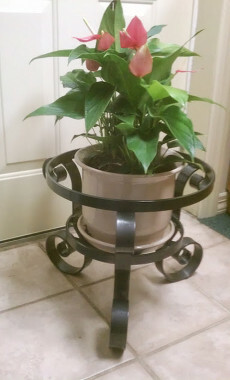 With many sizes, designs, and colors choices to choose from, you will find the perfect plant stand for your favorite place. 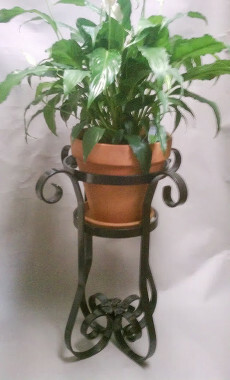 Enjoy your home or business more with beautiful, decorative plant stands for your plants.